The paperless office has been one of the biggest trends in business over recent years, with many businesses opting to remove all paper based activity and replace with PCs, tablets and other mobile devices to create a “digital office”. We were recently presented an opportunity to provide a tablet storage solution to a large international business that provides Customer Service Management solutions across multiple channels. They had announced a major new initiative of committing to a ‘paperless’ office earlier this year. The procurement of tablet devices were to replace the use of paper for all staff based in UK offices as part of their corporate social responsibility, to create sustainable sites by reducing paper waste and minimise their overall Carbon Footprint. The brief was clear, the initiative was already rolling out therefore lead time for supply was a key factor in the decision to choose Dalen. The devices will be used by all office staff and would need to be collected at the end of the day for storage and charging. The security of the devices against theft was a priority to prevent staff from accessing the tablets out of hours. Storage trolleys would need to be available in a number of sizes to accommodate office staff numbers at each location, desktop options for 10 tablets, trolleys for 16 bay, 20 bay, 32 bay and 40 bay capacity, with space for extra capacity, as well as colour matching to sit in line with corporate identity. Each tablet device also required a protective sleeve. Dalen supplied an extensive range of standard trolley products under the DeskStore and TabStore from the TOP-TEC portfolio, to match the specified requirements. 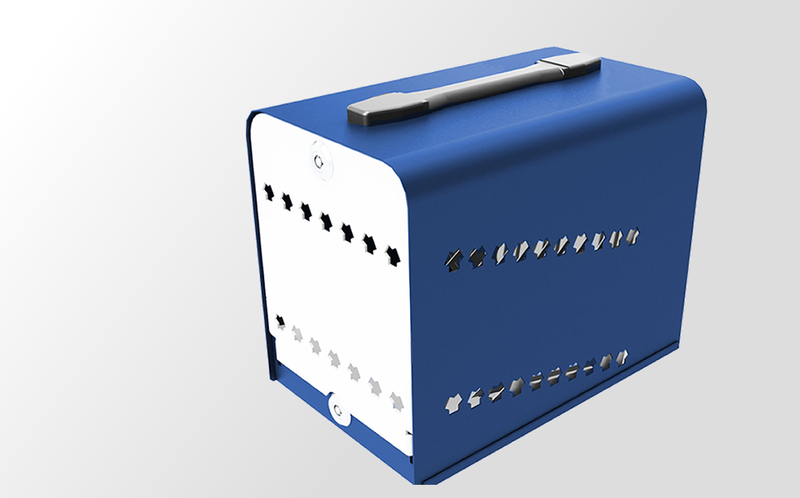 As Dalen design and manufacture the products, any customistation can also be offered to ensure a complete fit to the client’s needs. 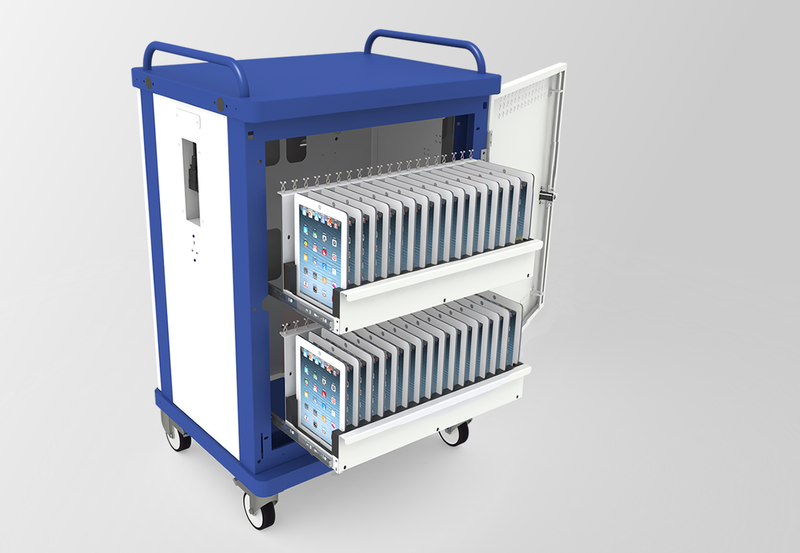 We worked to the client’s deployment plan to ensure availability of the appropriate sized trolleys in line with the tablet roll-out plan. DeskStore is a secure unit designed for storing, charging and transporting tablets and other portable devices when they are not in use. Our desktop solution offers a dependable means for ensuring up to 12 devices remain charged and safe from theft. The universal design accommodates all major tablet models with a display up to 10” in size that charge via USB. Available in two specifications, the desktop unit is secured with a two point locking mechanism; one on the front door access and another on the base which can be affixed to the desired location preventing unauthorised removal. The TabStore is a multi-functional security trolley designed for storing, charging and transporting tablet devices when not in use. 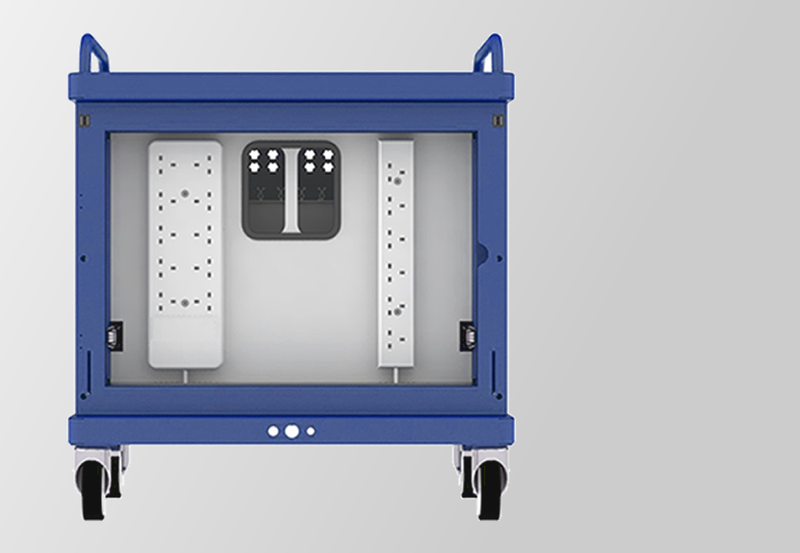 The trolley is designed to ensure your device is fully functional and safe from theft. 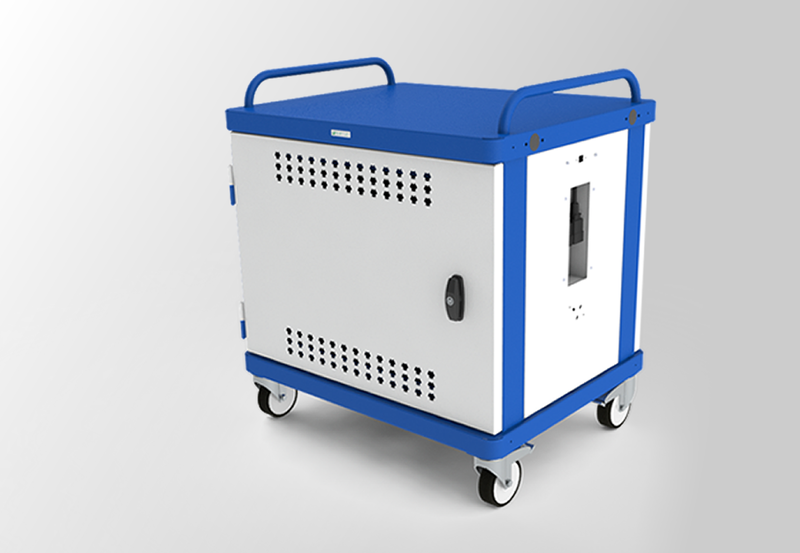 The trolley is equipped with an USB charge point for each individual tablet with an additional plug socket enabling use of top space, cushioned compartments to separate each device, RCD protection and a power cable with safety uncoupling.